First time loading ore at Marquette 5/16/05. Originally constructed as the deep sea ore carrier Ems Ore; this vessel was built by Schlieker-Werft, Hamburg, West Germany as their hull # 535 and launched October 17, 1959. 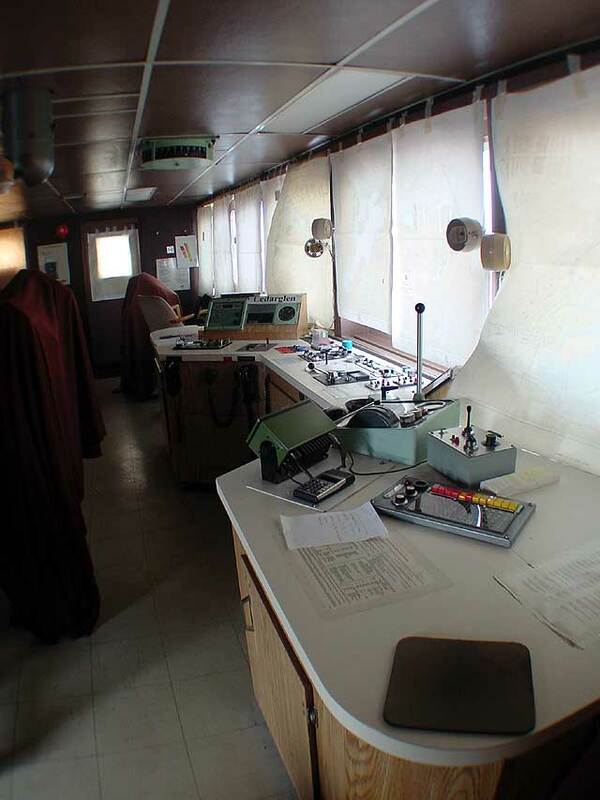 The Ems Ore was built with her pilothouse amidships. The ship's original dimensions were 546’00” (166.42m) loa x 73’10” (22.50m) beam x 40’02” (12.24m) depth with a carrying capacity of 20,032 tons (20,354 mt). 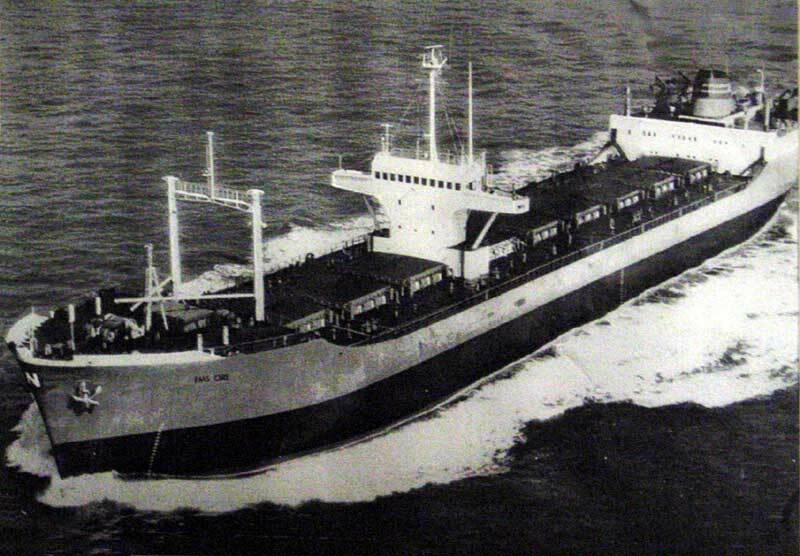 The Ems Ore was one of 8 sister-ships built in 1959/60 specifically for a long-term charter arrangement with Navios Corp. of the Bahamas (a U.S. Steel owned subsidiary) to be used in the iron ore trade between Venezuela and Europe for U.S. Steel interests. Of the 8 ships built, 4 were owned by the German company Transatlantic Bulk Carriers and registered out of the port of Monrovia, Liberia. These were the Ems Ore, Rhine Ore, Ruhr Ore and Weser Ore. 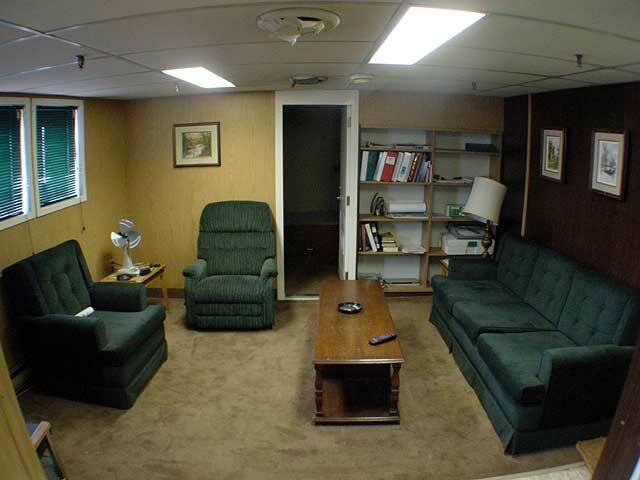 The other 4 were owned by Polaris Shipping Co., an American company. These 4 were named the Clyde Ore, Tees Ore, Thames Ore and Tyne Ore.
Of note early in the history of the Ems Ore, on October 1st, 1966 while sailing off the English coast, 3 drunken sailors attempted a mutiny and tried to destroy the ship with an axe and hammers. They were subdued and arrested. 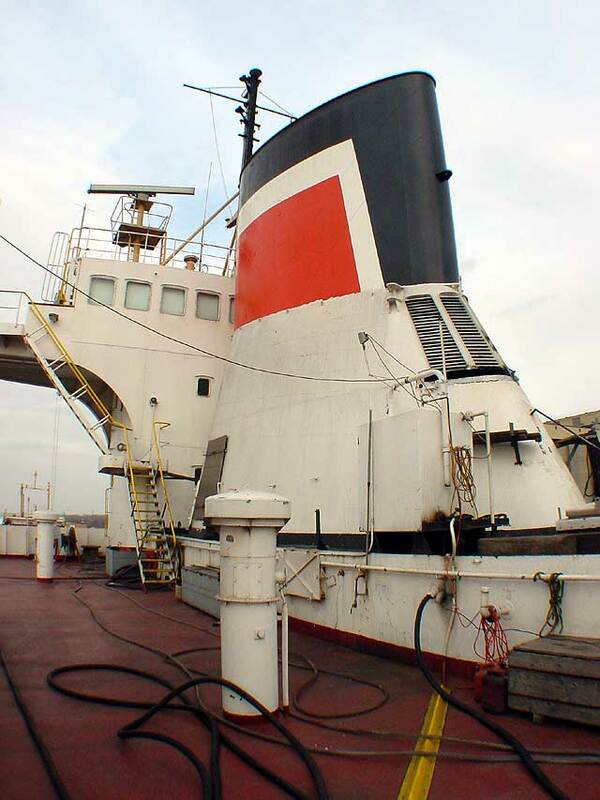 The Ems Ore, with her sister-ships Rhine Ore and Ruhr Ore were acquired by Hall Corporation Shipping Ltd., Montreal, QC in 1976 to carry Labrador ore from Gulf of St. Lawrence ports to the steel mills in Hamilton, ON. 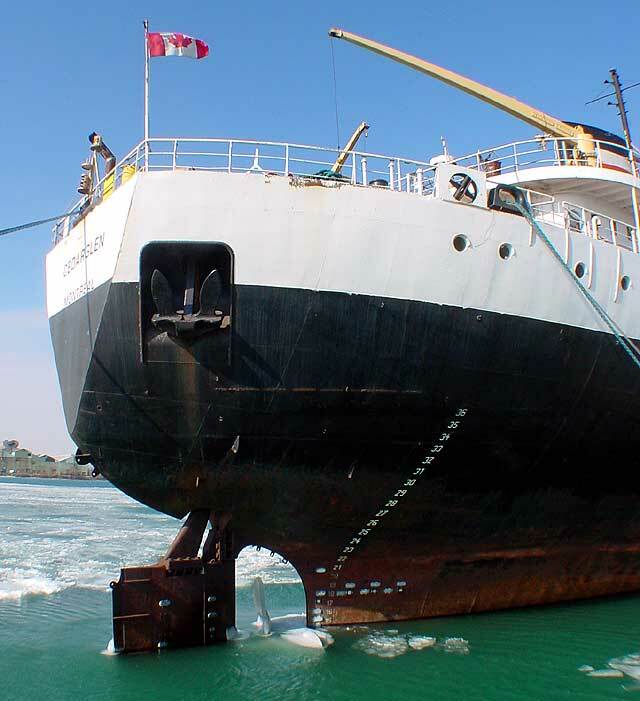 The Ems Ore was taken to Davie Shipbuilding Ltd., Lauzon, QC where a complete new forebody was installed from the engine room forward; her pilothouse and mid-ship cabins were modernized and moved to the stern; a 16-cylinder 1,200 h.p. 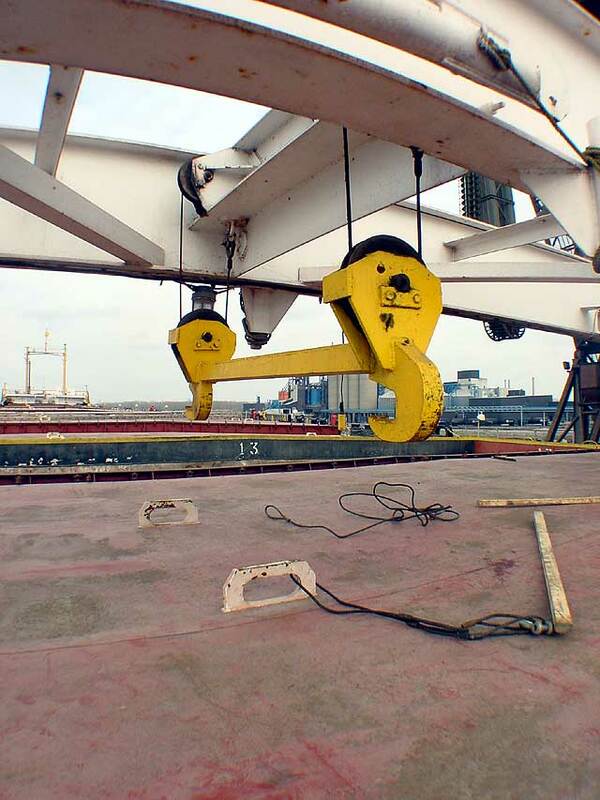 (893 kw) Caterpillar diesel bow thruster and a KaMeWa 157S4 18' 08 1/2" (5.70m) diameter controllable pitch propeller also being installed. 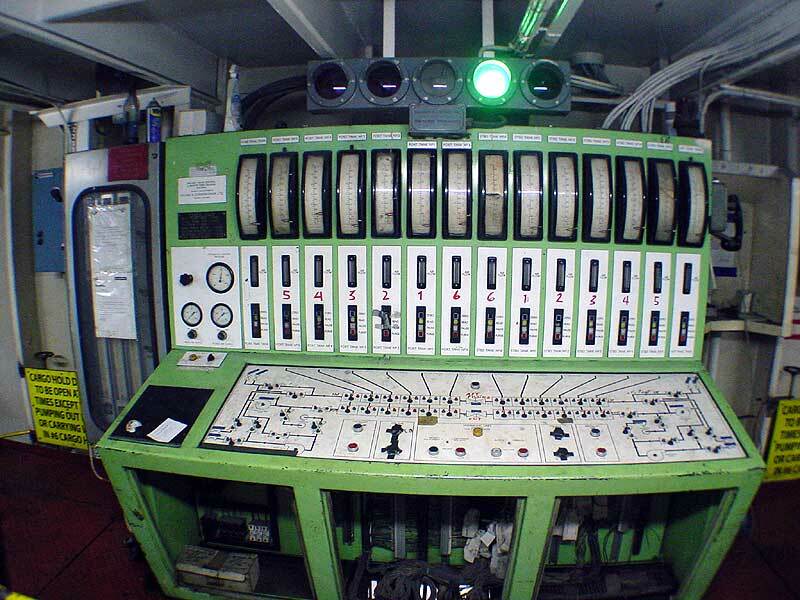 She retained her original main power plant consisting of a B&W model 7-74VTBF-160 single acting, 2 stroke cycle 7-cylinder 8,750 b.h.p. 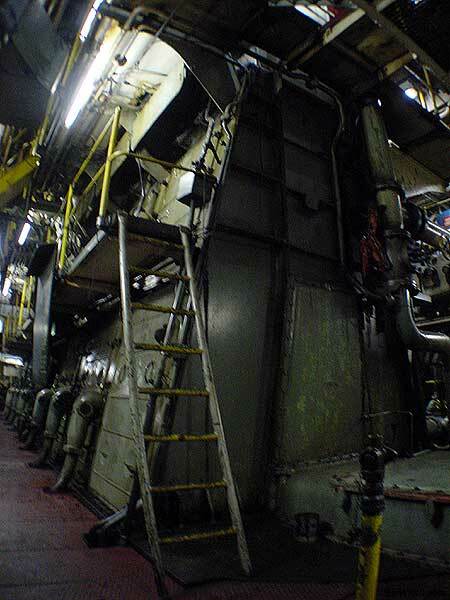 (6,513 kw) diesel engine built by Federated Krupp, Essen, Germany burning intermediate grade 180 fuel. 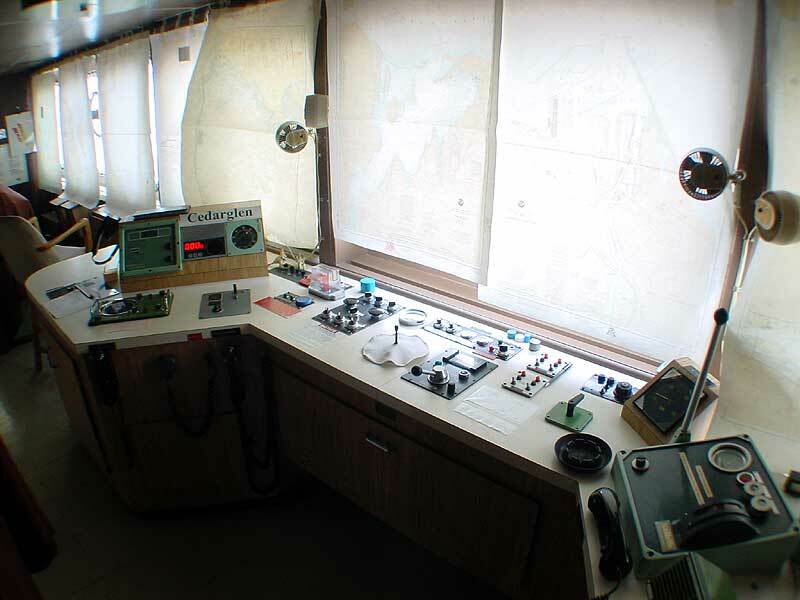 The newly converted vessel had a rated service speed of 17.3 m.p.h. 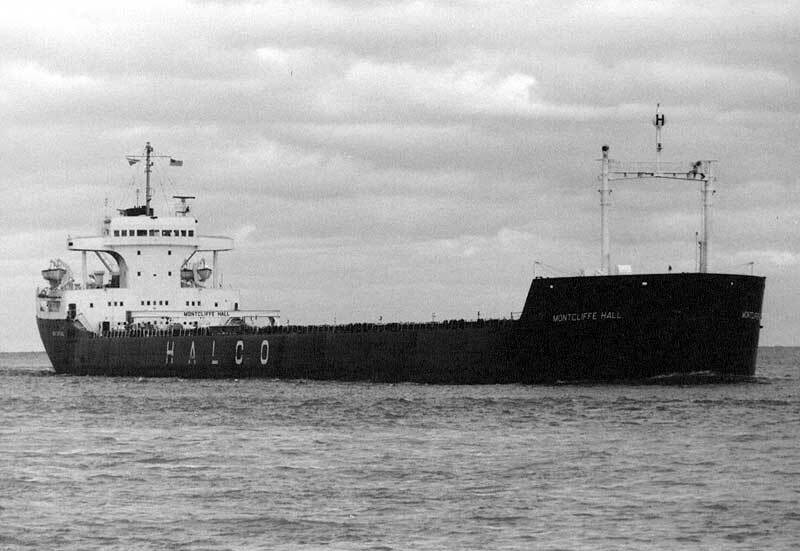 Halco renamed the vessel Montcliffe Hall in 1977 with the conversion work being completed during the winter of 1977/78. 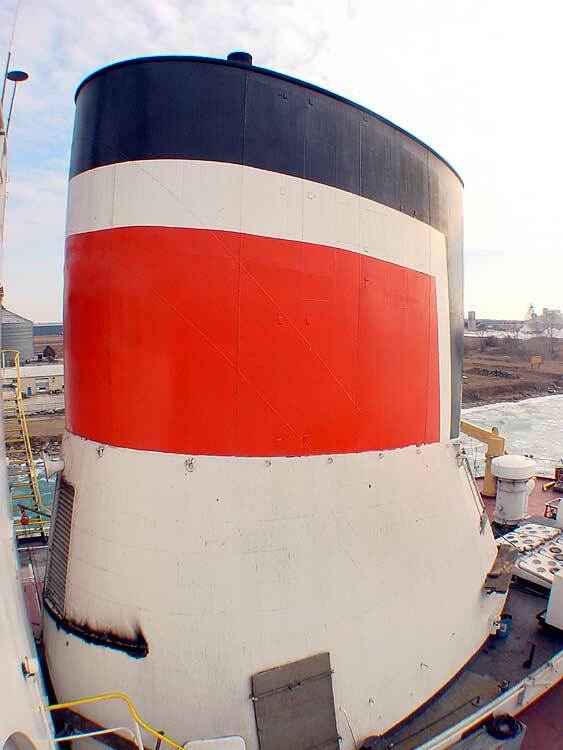 This new Great Lakes bulk carrier has 17 hatches feeding into 6 holds where 27,088 tons (27,521 mt) can be carried at the new Seaway draft of 26’06” (8.08m) and is capable of carrying 29,518 tons (29,990 mt) at her mid summer draft of 28’03” (8.61m). Other capacities include 11,464.65 tons (11,649 mt) of water ballast and 491.5 tons (499.49 mt) of fuel oil contained in 4 tanks. The vessel displaces 7,770 tons (7,895 mt) lightship. 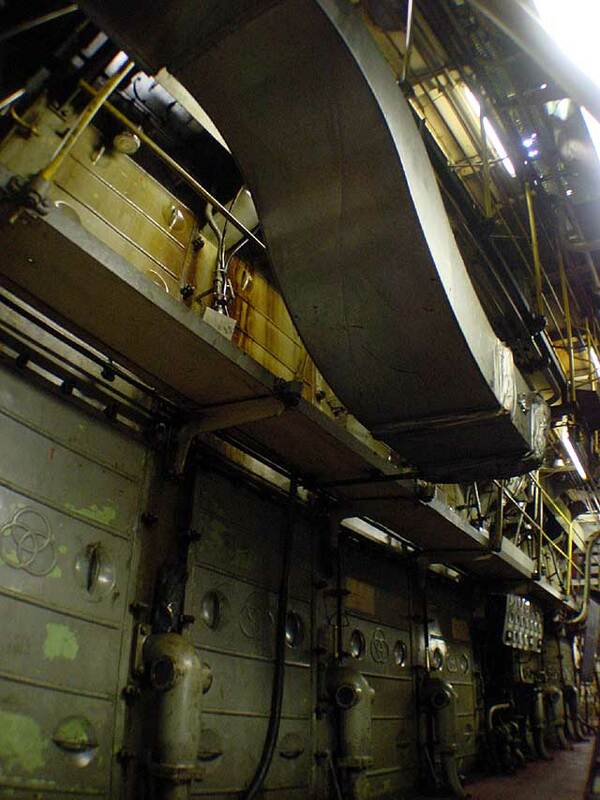 The old bow section of the Ems Ore was sold for scrap. On November 14, 1977, while being taken to Brownsville, TX under tow of tug Irving Birch, the old bow section broke free of the tow in the Atlantic Ocean. After being recovered November 16th, it struck light #405 in the Brownsville Ship Channel on December 7. 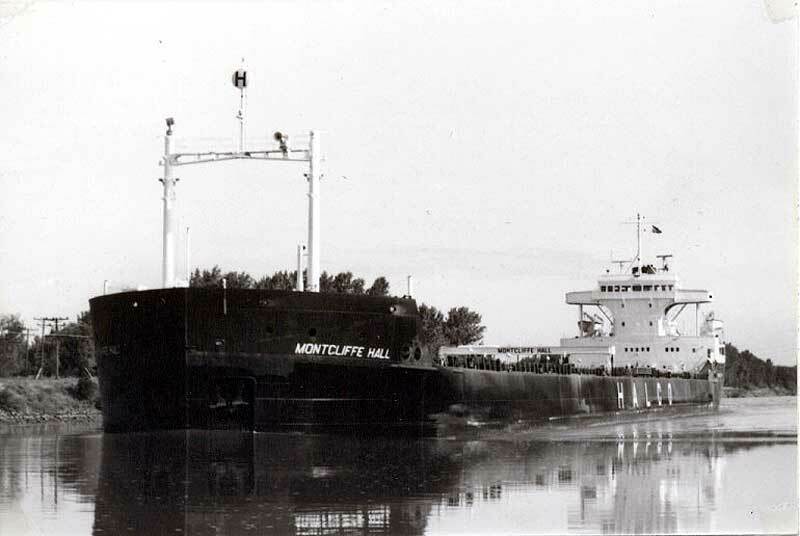 The Montcliffe Hall began trading on the Great Lakes on April 18, 1979, passing upbound through the Welland Canal April 19. 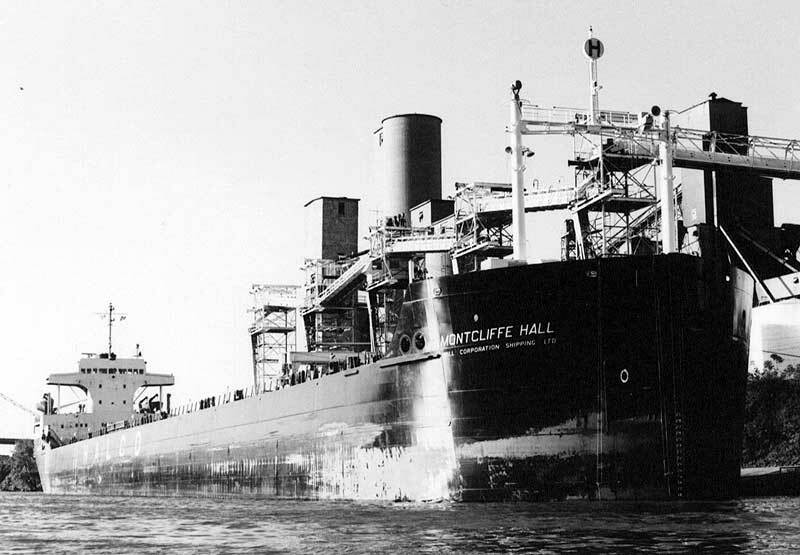 The other two vessels similarly converted by Halco at that time were renamed Steelcliffe Hall (Rhine Ore) and Cartiercliffe Hall (Ruhr Ore). 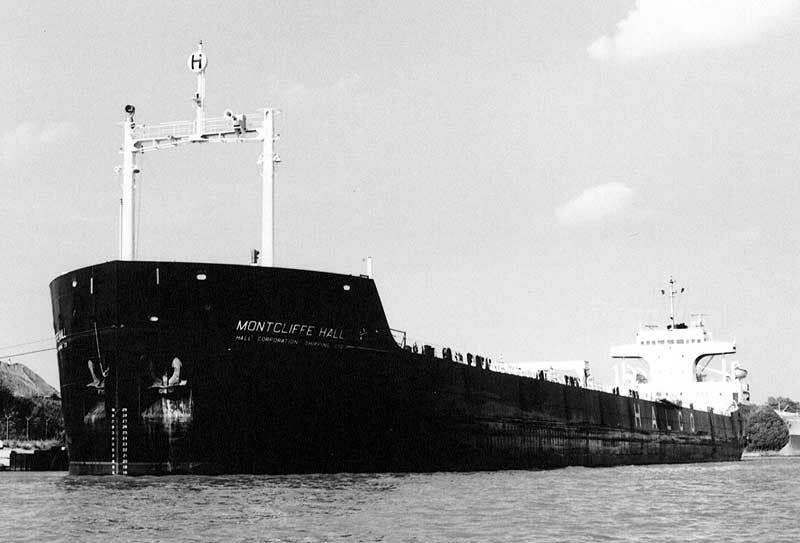 On February 26, 1981 the Montcliffe Hall suffered a fire while in lay up at Sarnia, ON. The fire was reportedly started by a worker’s torch and severely damaged the navigation bridge and the two decks immediately below. 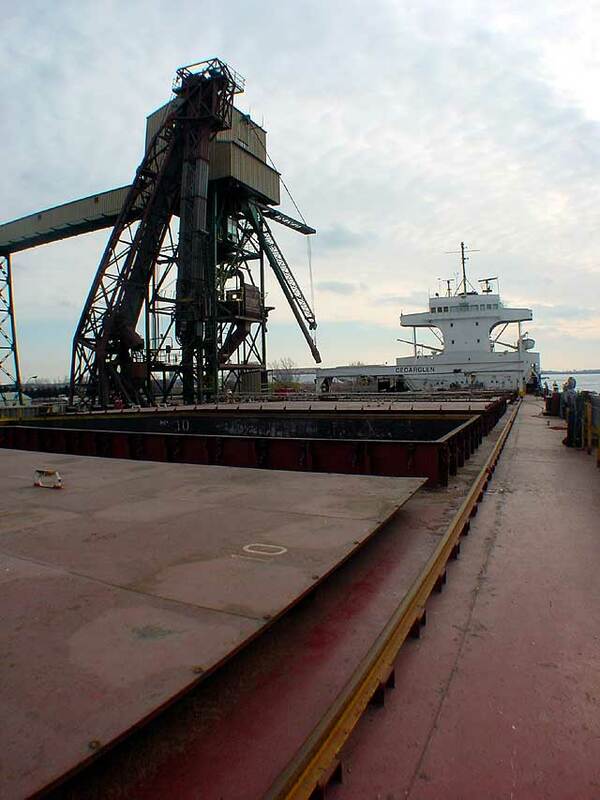 The bulk carrier returned to service May 27. 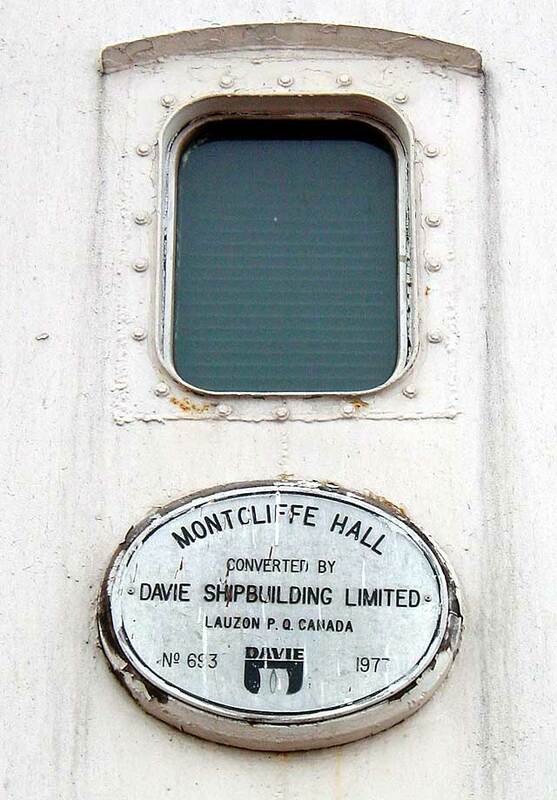 The Montcliffe Hall was acquired by N. M. Paterson & Sons Ltd. Marine Division, Thunder Bay, ON in 1988 following the liquidation of the Halco fleet. She was renamed Cartierdoc (2) at that time. 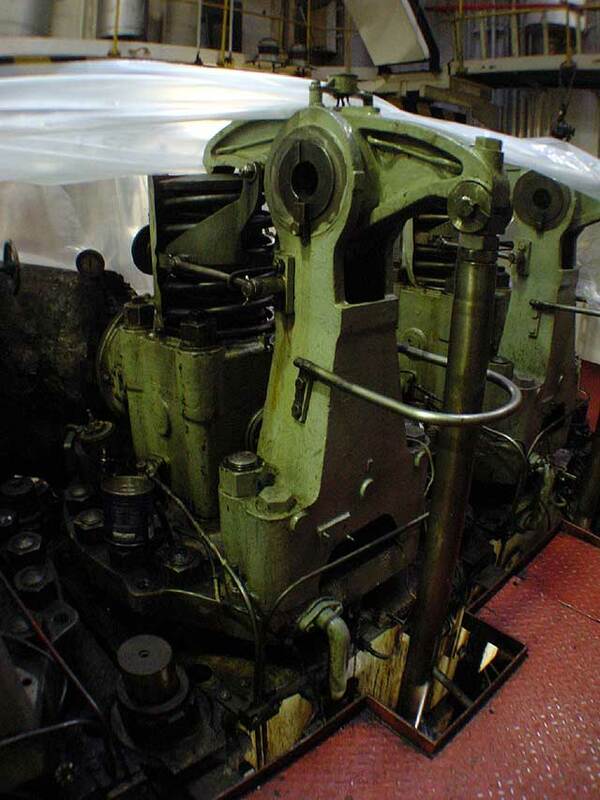 Also acquired by the Paterson fleet was her sister Steelcliffe Hall which was renamed Windoc (2). 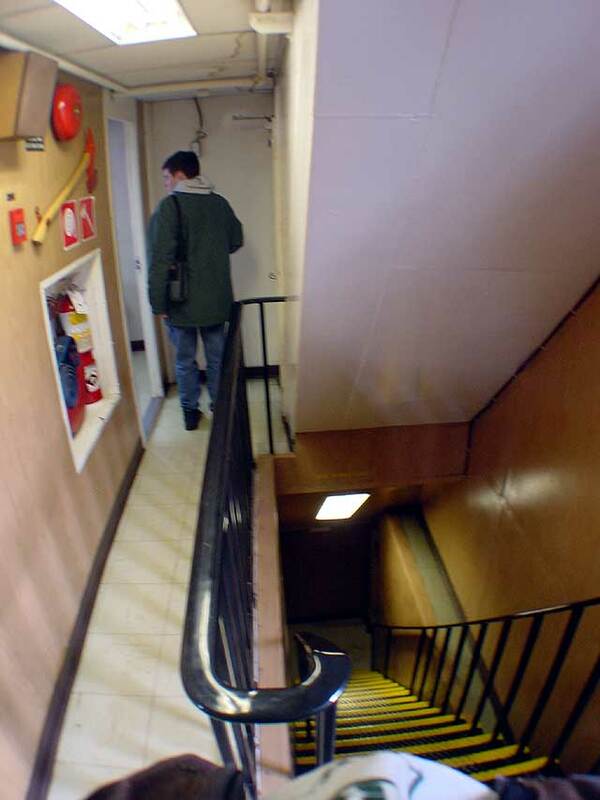 (The third of the sisters Cartiercliffe Hall was acquired by Algoma Central Marine and was renamed Algontario.) The Cartierdoc name honors the early explorer Jacques Cartier who discovered the St. Lawrence River valley in 1534/35. The “doc” suffix followed a fleet tradition in Paterson’s naming policy referring to the “Dominion of Canada”. There were only a few incidents of note involving the Cartierdoc during her career under the Paterson banner. 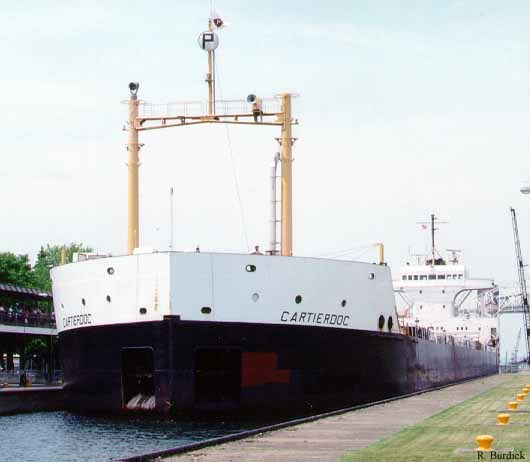 On June 15, 1997; the vessel lost power while upbound in ballast in the Welland Canal running soft aground approximately 2,500 feet (762m) from the Homer St. bridge in St. Catharines, ON. She was pulled free and towed stern first by McKeil Marine tug Argue Martin to a location just above Lock 2 for repair. A malfunctioning turbocharger was the cause. On June 23, 2000 the Cartierdoc made contact with the Norfolk Southern rail bridge that passes over the Maumee River in Toledo, OH. 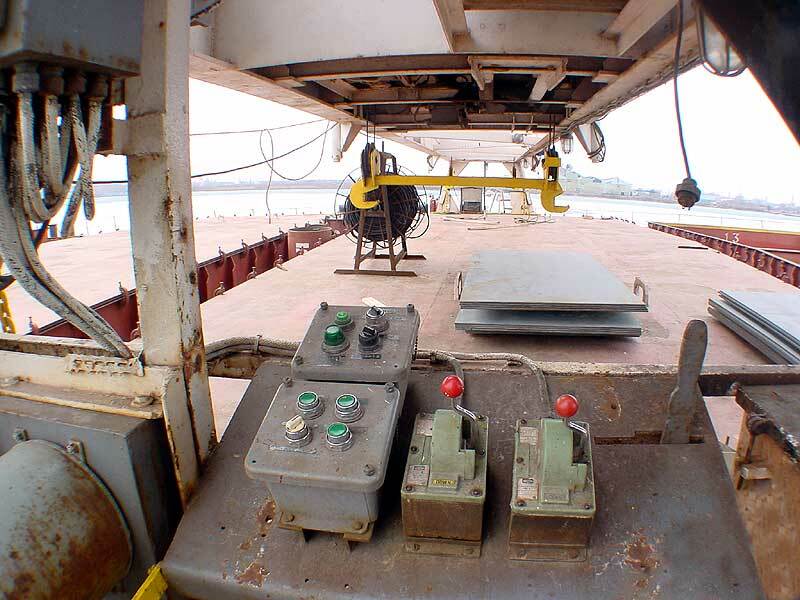 She had just finished loading grain and was negotiating a section of river where the ship channel is less than 110 feet (33.53m) wide. 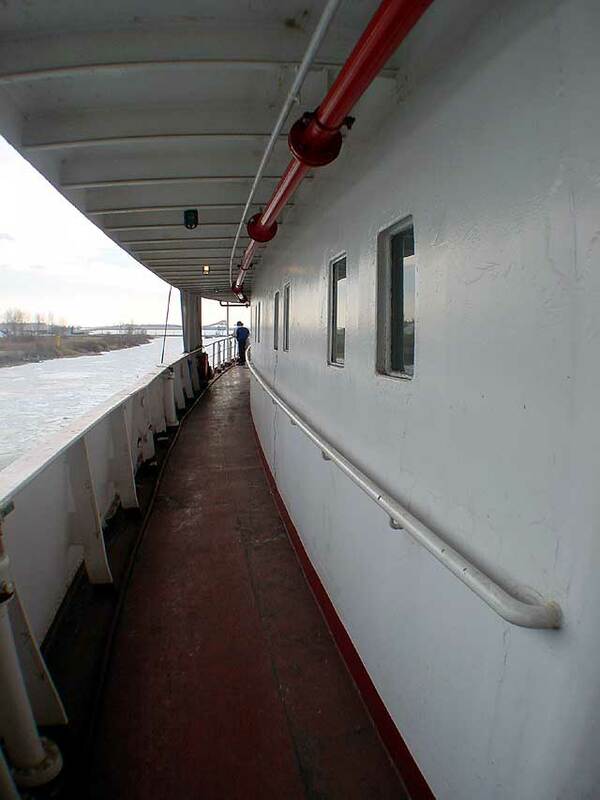 The river current wedged the vessel against the bridge. With tug assistance, she was pulled free. 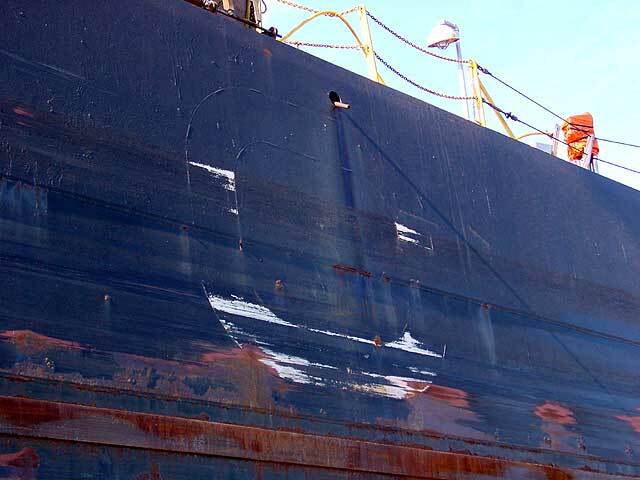 There was only superficial damage to the bridge fenders and cosmetic hull damage above the waterline to the vessel. 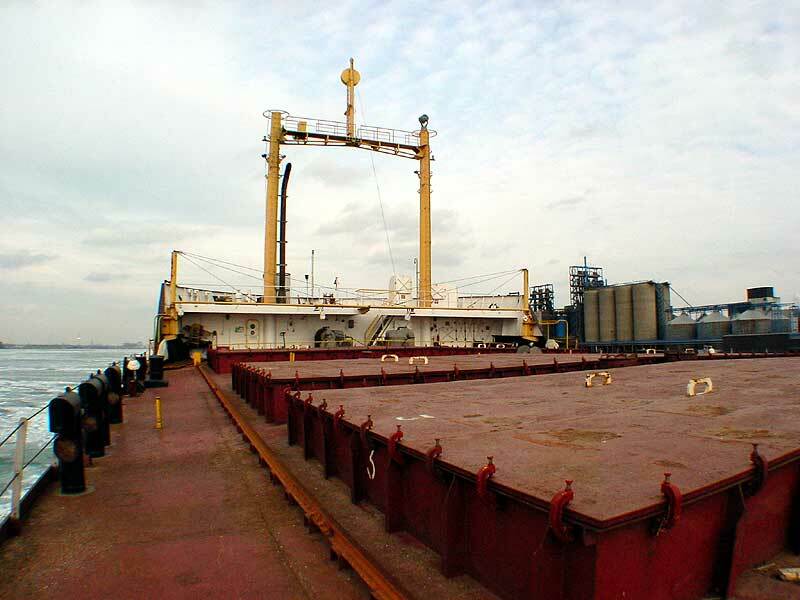 With the exception of 1993, the Cartierdoc remained an active bulk carrier for Paterson. 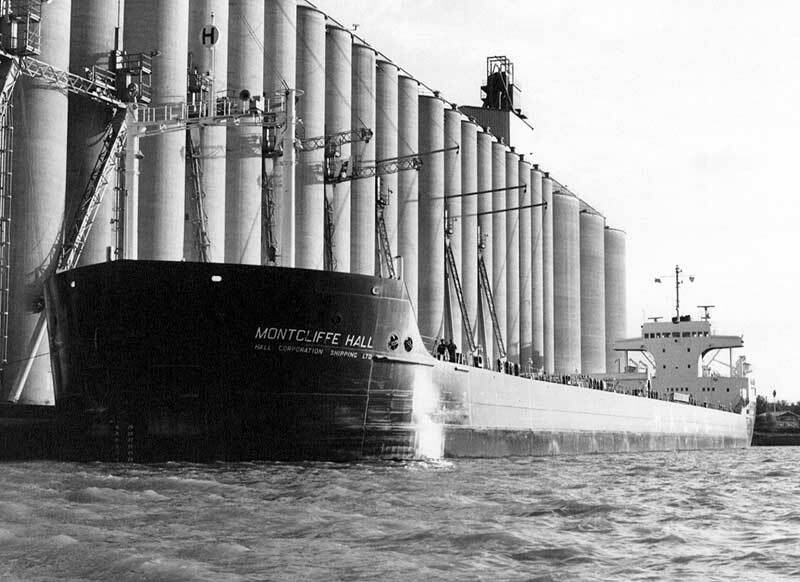 Typically, she carried grain products from the Great Lakes to St. Lawrence River ports with return cargoes of iron ore to ports such as Hamilton, ON; Chicago, IL and Burns Harbor, IN. 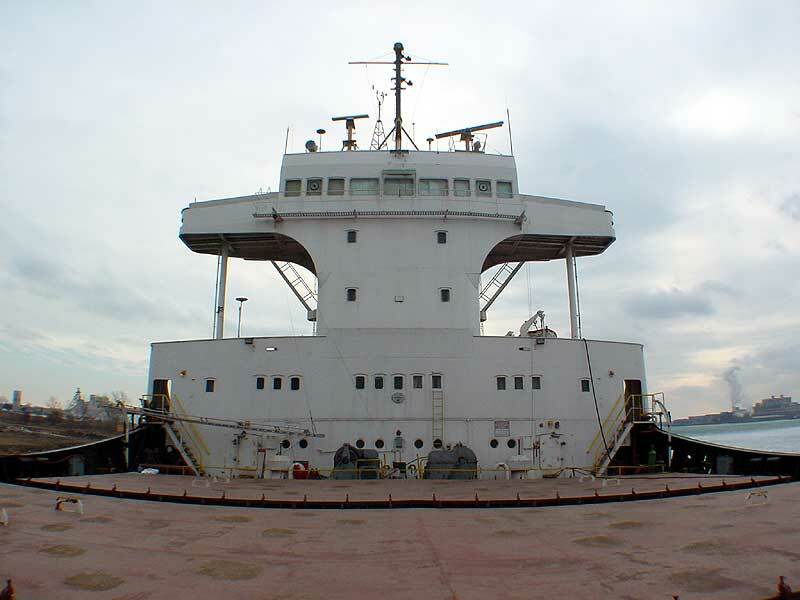 On March 21, 2002 N. M. Paterson & Sons Marine Division ended their long family history of operating Great Lakes vessels and sold their active fleet of three ships to Canada Steamship Lines, Montreal, QC. The Cartierdoc was renamed Cedarglen (2), the Paterson becoming Pineglen (2), and the Mantadoc becoming the Teakglen. CSL’s naming pattern has particular significance. The suffix “glen” identifies the ships as being bulk carriers. 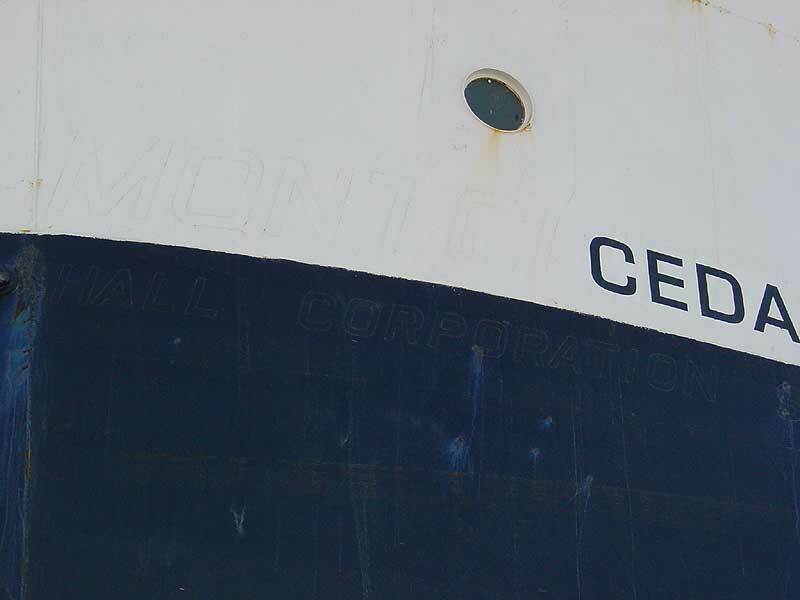 The “glen” connection dates back to 1926 when CSL acquired the Great Lakes Shipping Company whose vessels had names such as Gleneagles, Glenelg, and many others. 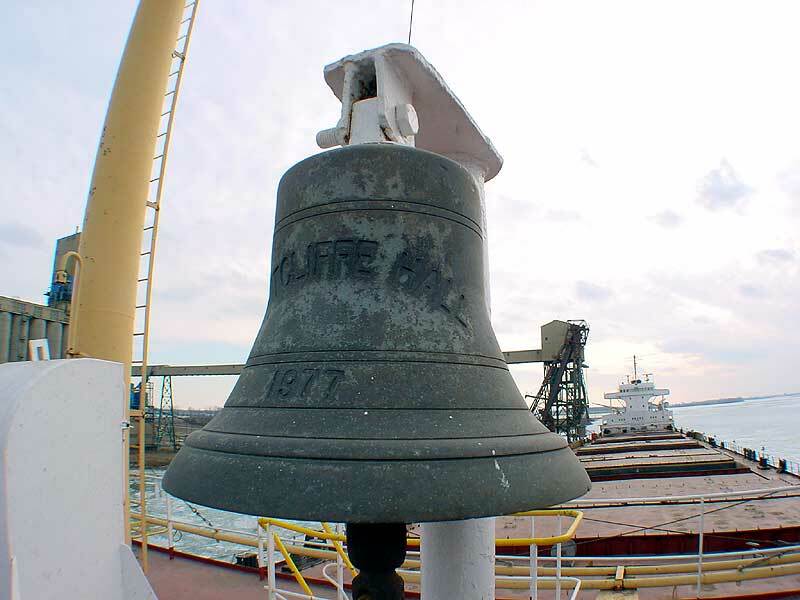 The tree name prefix dates back to 1937 when CSL purchased Tree Line Navigation Co. Ltd.
On the Cedarglen’s maiden voyage for CSL the vessel allided with the Snell Lock in the St. Lawrence Seaway on March 30, 2002 causing a 2’ (.61m) tear at her bow 8’ (2.44m) above the waterline. 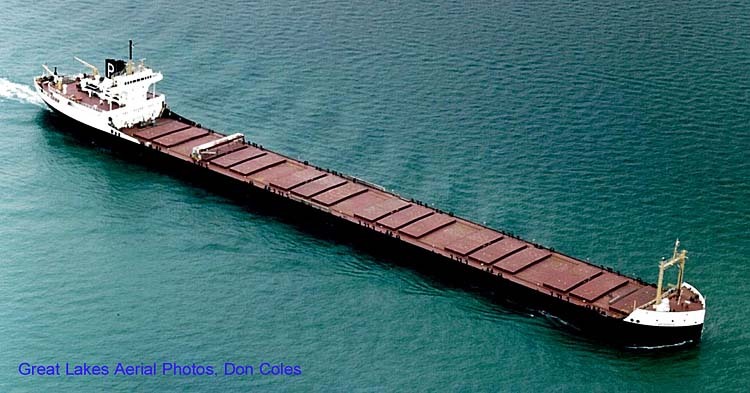 At the time, she was laden with approximately 8,000 tons (8,129 mt) of titanium slag from Sorel, QC for Ashtabula, OH. 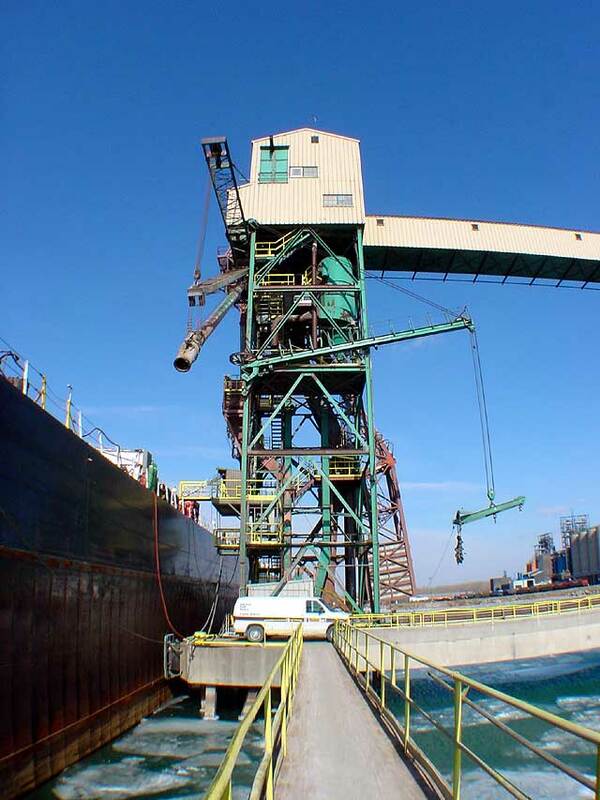 Repairs were completed at Port Colborne, ON. 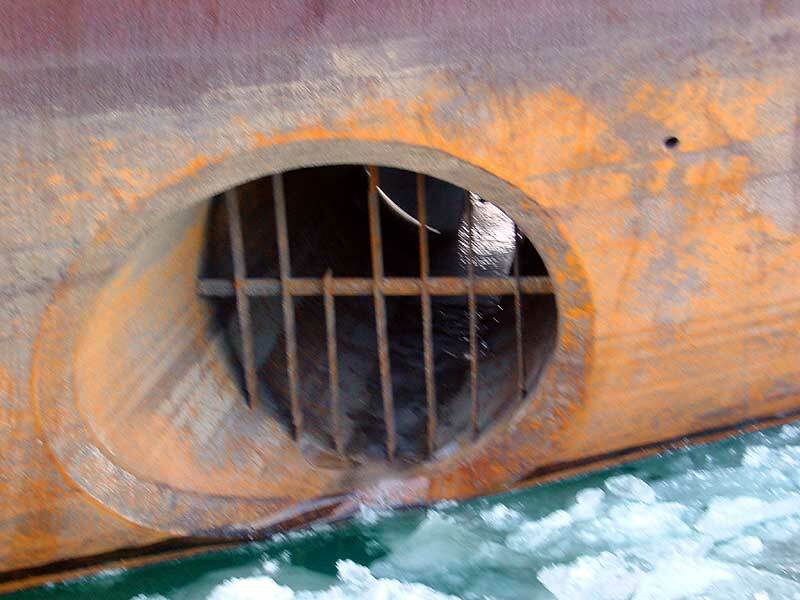 On June 10, 2002; the vessel grounded ¼ mile (.402k) west of the St. Louis Bridge in the Beauharnois Canal (St. Lawrence Seaway) in an attempt to hold back due to a temporary bridge malfunction. Shortly after, on June 26, 2002 the Cedarglen grounded on a shoal near Whiskey Island in the St. Lawrence River near King’s Point, NY. 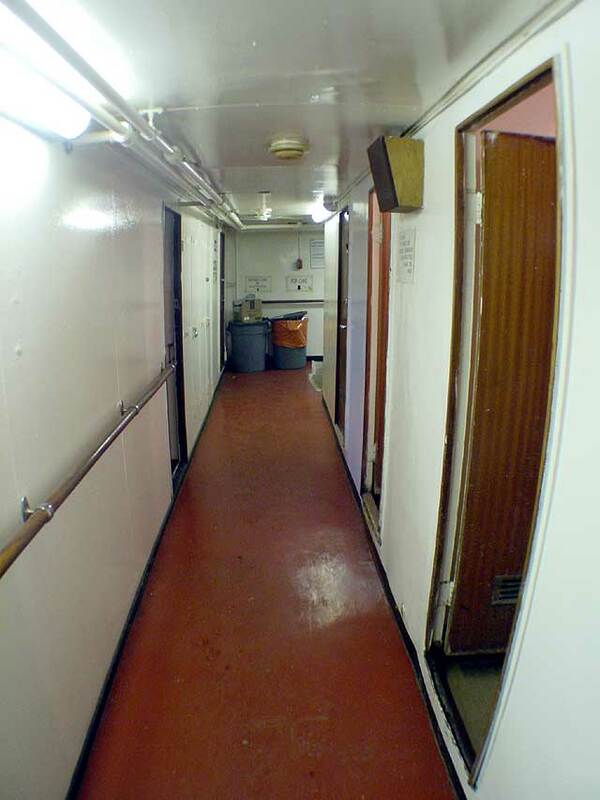 The vessel had reported electrical problems before the grounding. She freed herself and went to anchor to assess damages. 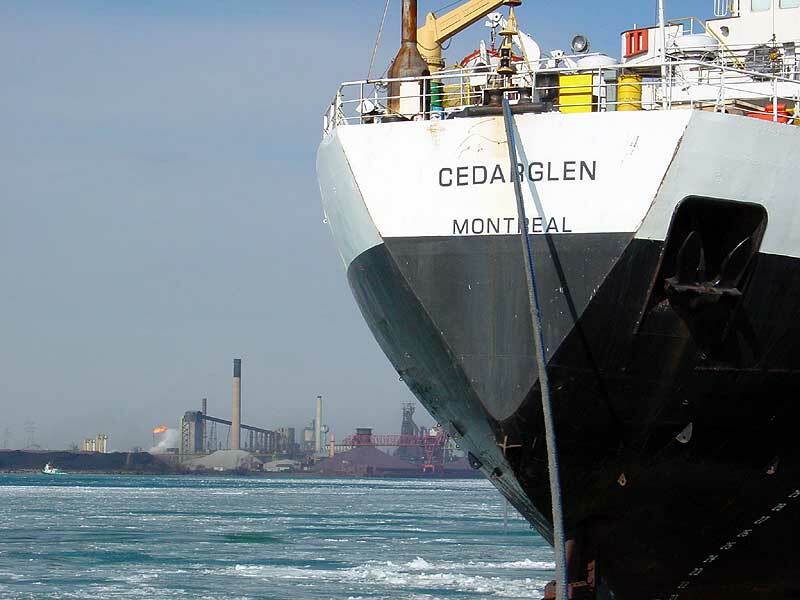 The Cedarglen continues to sail as an active vessel in the Canada Steamship Lines domestic bulker fleet under the management of V.Ships Canada Inc., Montreal, QC (formerly Acomerit Canada Inc.). Though flying a different company banner, her trade routes and cargoes have continued in a similar vein to those when she was a part of the Paterson fleet. 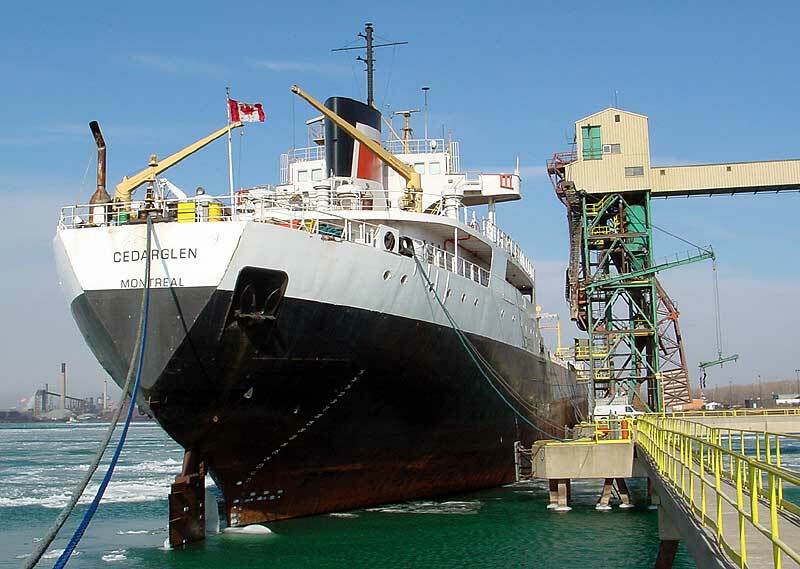 On March 25, 2004 and March 23, 2005; the Cedarglen was honored at Lock 8 of the Welland Canal at Port Colborne, ON as the first downbound vessel in the Welland Canal of the respective seasons. 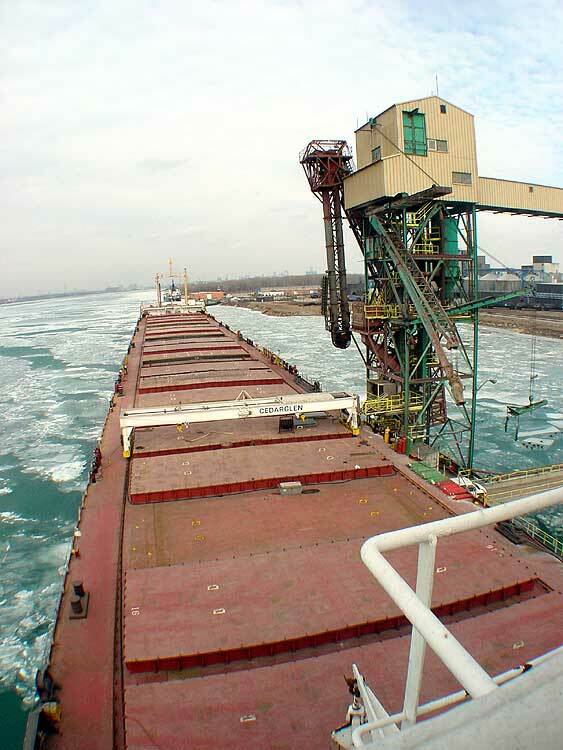 On May 16, 2005; the bulker loaded iron ore at Marquette, MI for the first time in her career on the Great Lakes. To fit under the chutes at Marquette, part of the Cedarglen's starboard wing bridge had to be removed. Looking up at the massive engine. Valve at the top of the engine. 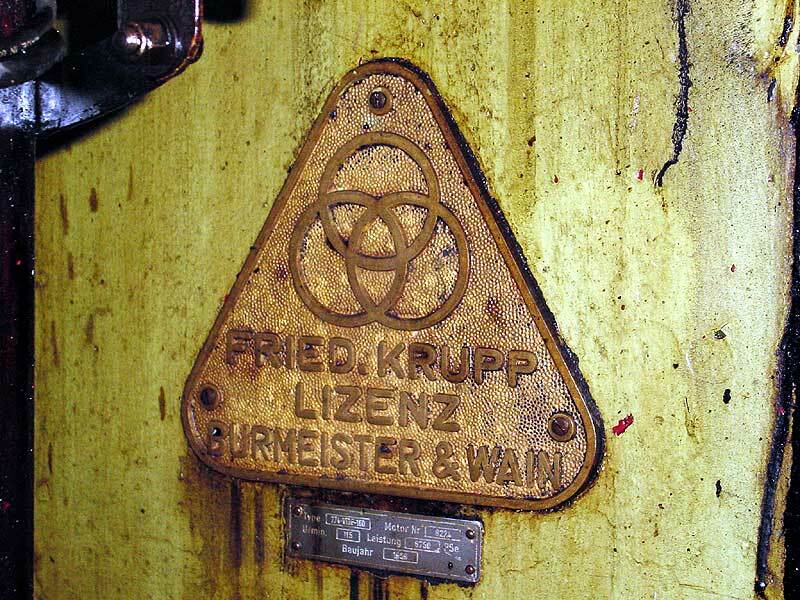 Former name can be seen. Remnants of the HALCO billboard on her hull. Upbound the Detroit 5/22/05. Note part of starboard wing bridge removed. On the Detroit River 2002.